The principle idea behind our user-led consultation is that the resulting professionally designed skatepark is far more likely to become an essential part of a flourishing community. Wheelscape prides itself on its community consultation. Making sure the design of the skatepark is appropriate for the location and fully meets the requirements of its users is essential for a custom-made, long-lasting design. We employ a 'By Skaters For Skaters' approach to ensure the design perfectly complements the needs of all park users. The community consultation usually goes through an organic process, with the clients and potential park users making sure the design meets all users’ wishes. The art of skatepark design is to balance design features with the shape of the site. The need for exciting skate-lines that fit comfortably within the surroundings is very important to create a safe and stimulating skatepark. Our community consultant and architectural design team are all experienced skaters, and have in-depth and practical knowledge of what is needed to turn the initial ideas into a truly unique and professionally designed skatepark. 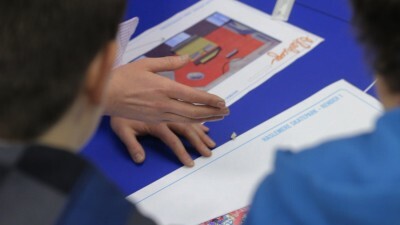 We’re specialists in the community consultation and design process. Once the community have gotten together to gather ideas, we can organise visits to our other parks, to inspire the community and potential users to create their first designs. Our expert design team then takes all these ideas and develops them into a professional architectural design. Our particular skills and experience are best used once a community group has been established. This group should involve as many of the potential users as possible and represent a broad section of the local community who would like to be involved with initial planning and fund-raising. Local support and consultation is crucial. Wheelscape's website provides excellent advice on first steps. The website forum is an easy and accessible way of getting many people connected to share a common vision. Communication between our client and this group is a critical part of the process and much of Wheelscape's previous success is due to our skill in promoting this discussion. We find that as the community gathers, ideas begin to take shape. This gives both us and the client a good starting point for ensuring the quality of the final designs. 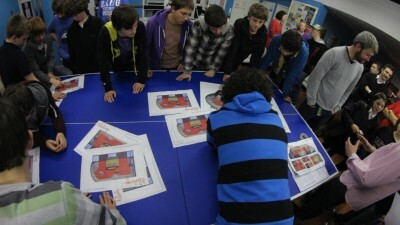 A cooperative group concentrating on a mutual goal helps create the ‘perfect design’. Park users who’ve been involved retain a sense of ownership, resulting in greater respect for the site. This consultation and design process can be offered as a service separate from construction.